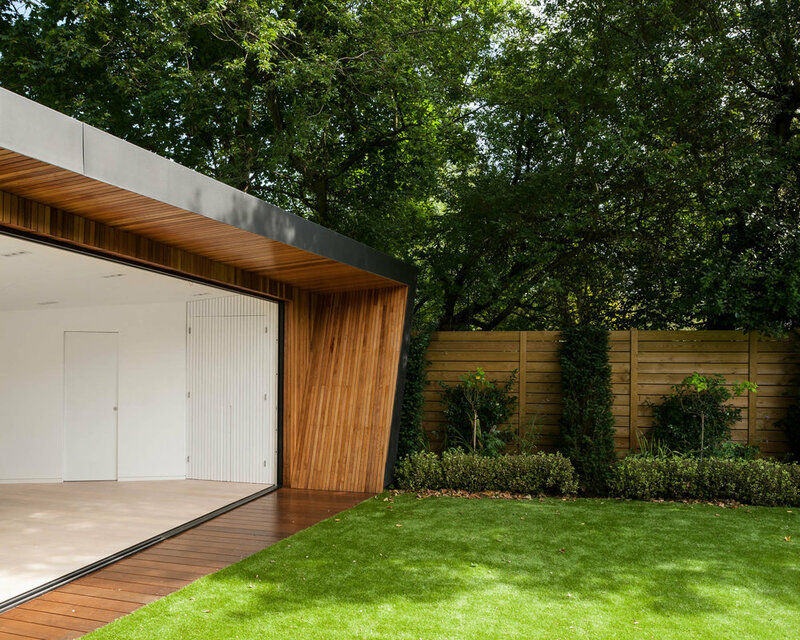 A single storey angular studio space, nestled at the bottom of the private garden provides flexible room for a family to enjoy yoga, play or just a room from which to enjoy the garden and family home beyond. 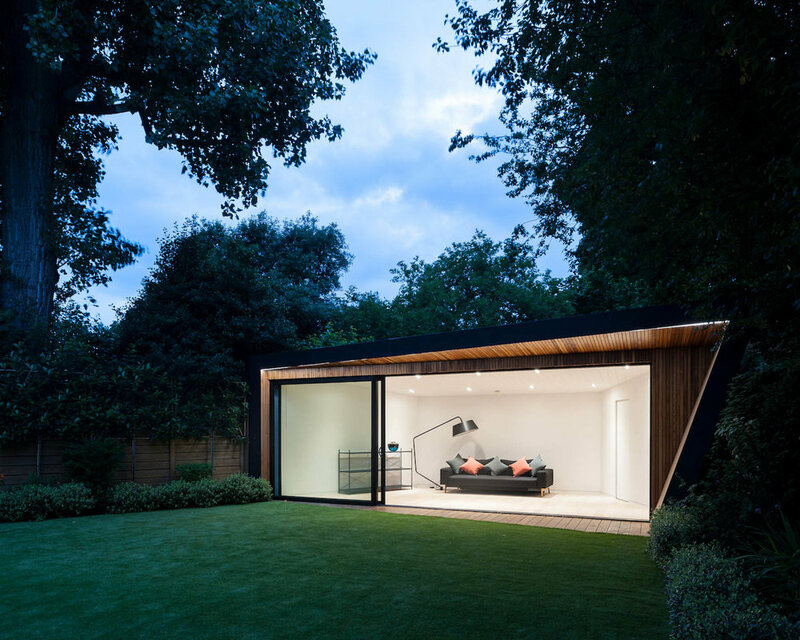 The walls to the building are formed in facing block work, the roof mainly from timber and clad in black zinc wrapping the two elements as one. 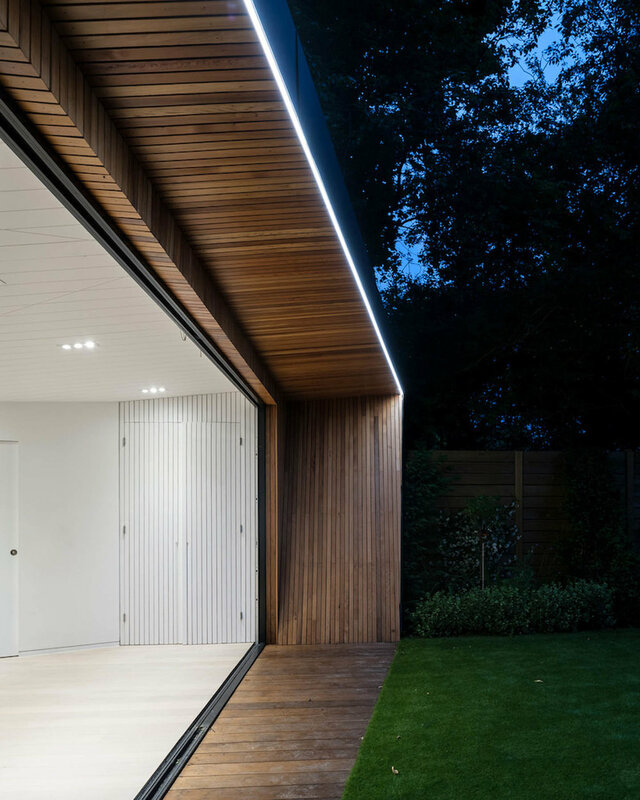 A protruding external covered deck provides an area for relaxation and provides natural shading to the south facing doors overlooking the garden. A simple white interior space conceals a hidden small kitchenette and shower room. 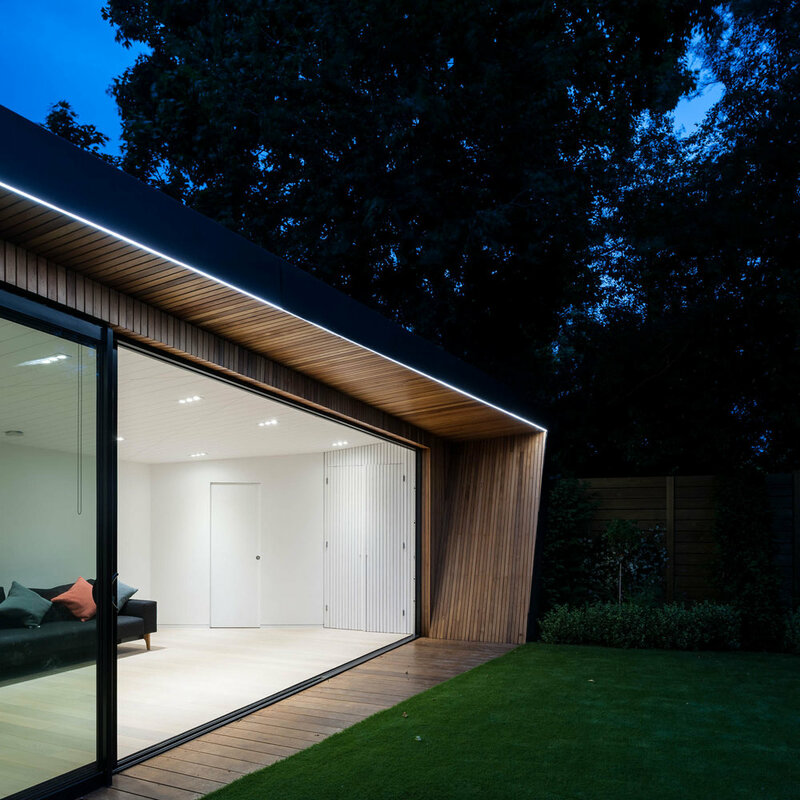 The interior was carefully considered with the flooring setting up a rhythm which was reflected in the ceiling finishes and the external deck beyond. 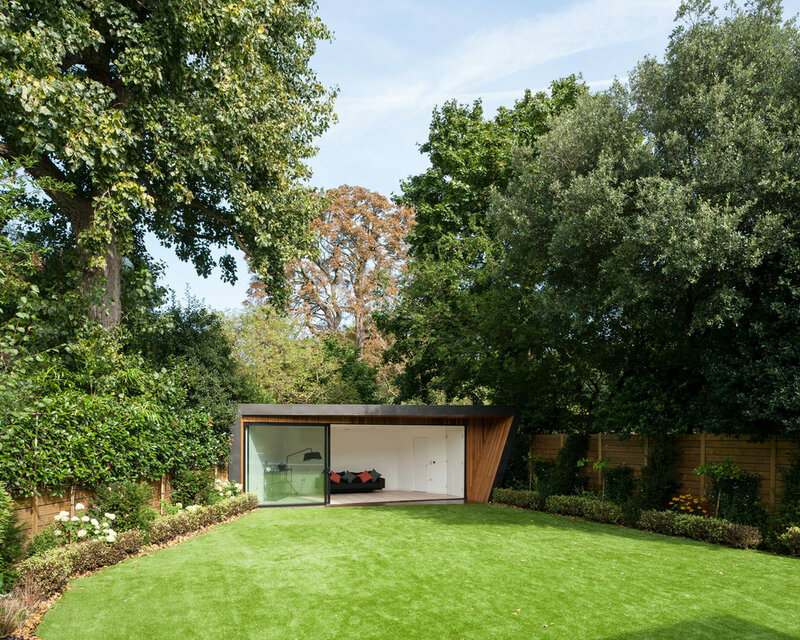 The proposals are complemented by a refreshed landscape, connecting the raised external seating of the main house, providing screening from adjoining properties and setting up a space for the young family to enjoy.